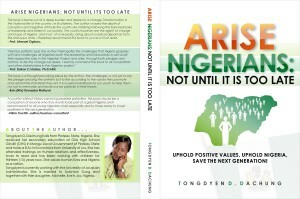 Tongdyen D. Dachung is an Administrator with the University of Jos, Jos, Plateau State. This 31 years old Amazon is an Alumni of the “Young Women Leadership Programme” of Kudirat Initiative for Democracy which she attended in 2006. 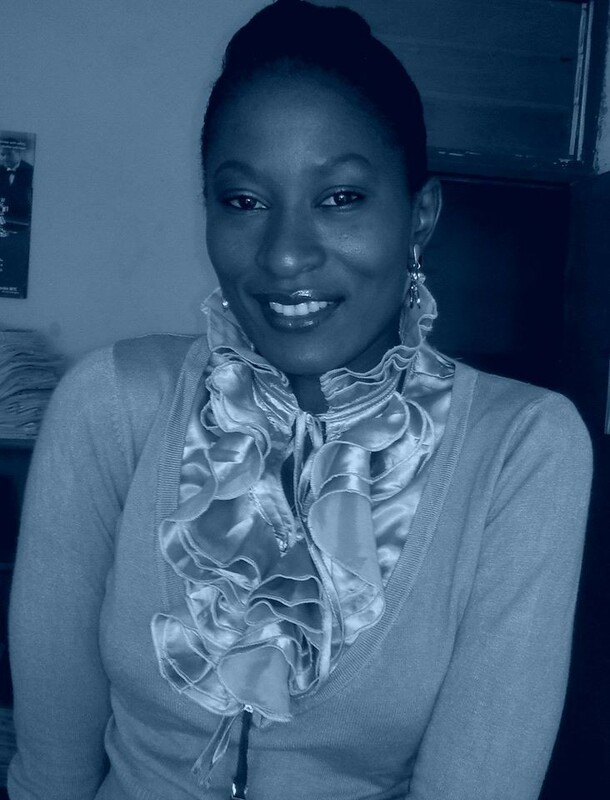 Tongdyen Dachung has her Bachelors of Science Degree in Economics, which she obtained from the University of Jos. She has undergone several other training in Leadership, Health, Customer Care and Talent Development, Administration and Proficiency trainings in Management and Human effectiveness. 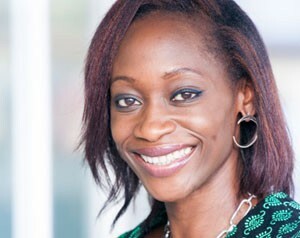 Her wealth of knowledge prompted her to author her book, “Arise Nigerians: Not Until It Is Too Late” in 2014, which has received several reviews. 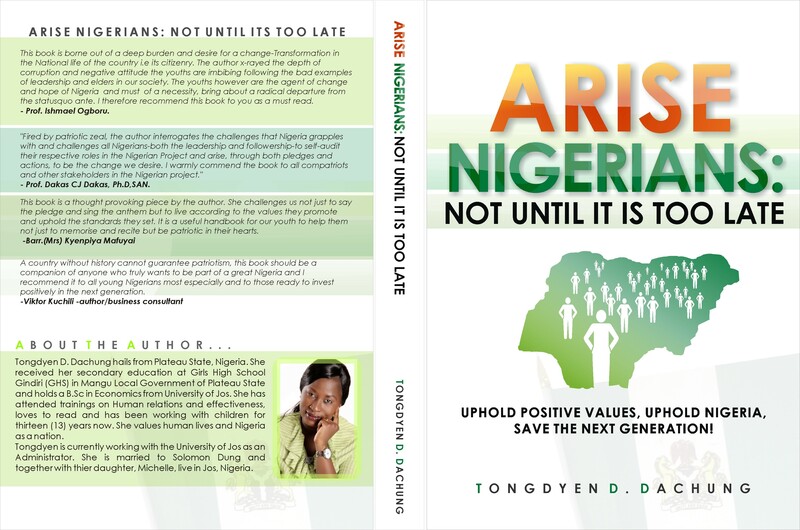 The book which addresses the need to uphold positive values for the purpose of preserving the next generation Nigerians is coming at a time when all Nigerians are crying for a change from the unpleasant status quo. Tongdyen Dachung loves to read, write and enjoy nature’s beautiful gifts. She prefers to approach life with an optimistic mindset and is interested with new discoveries and talent development. Her beliefs in the value of human lives and Nigeria as a nation, re-enforces her resolve that popular and changing trends should not keep integrity and honesty out of fashion because what we see in the world today is at best what we each put into it including those who are long gone. Tongdyen Dachung is married to Solomon Dung and they are blessed with a daughter, Michelle.